On a day when my daughter had to work all day, my other daughter and I decided to spend part of the day shopping on South Congress. 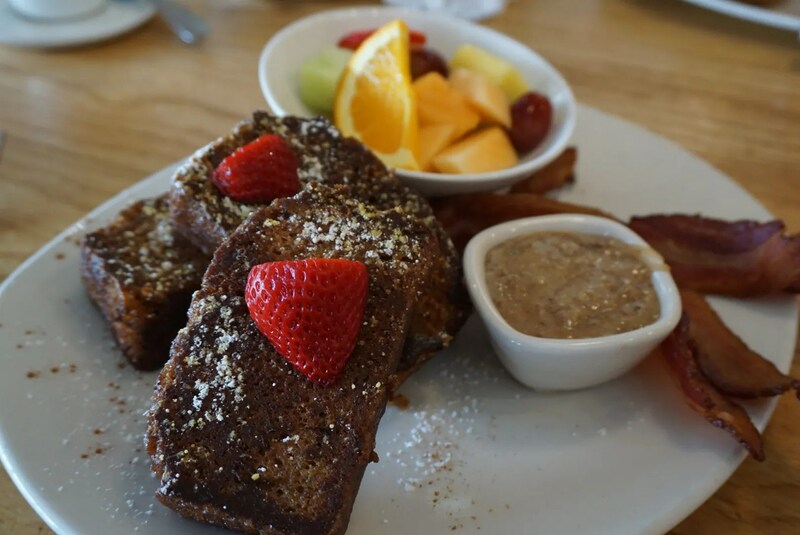 But first we went to brunch at South Congress Cafe, located at 1600 S. Congress Avenue. 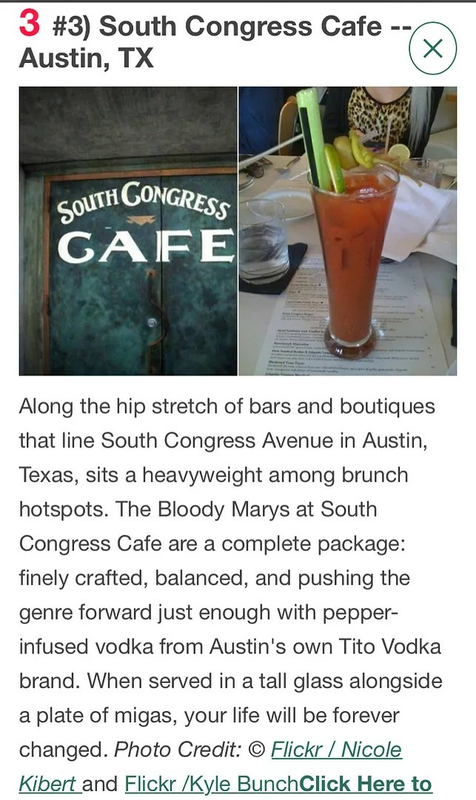 I had read an online article which said that South Congress Cafe served one of the best brunches in Austin. 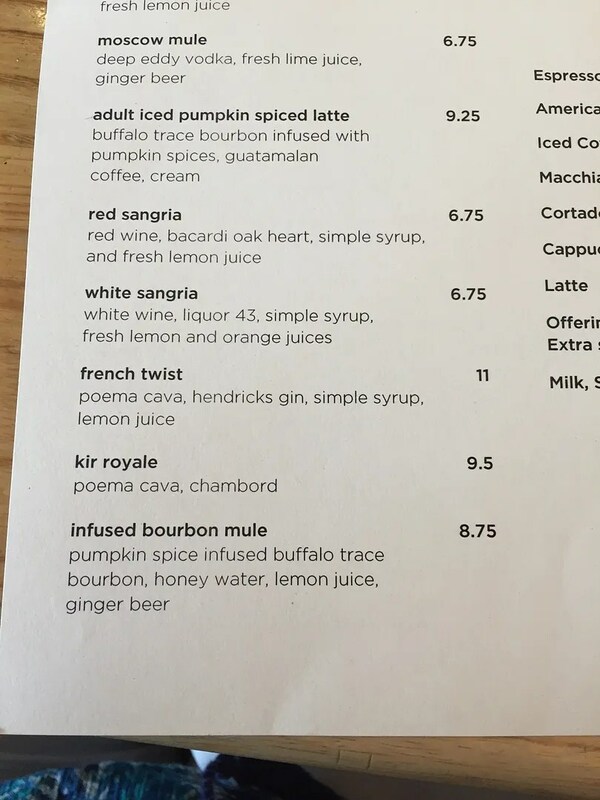 And the best part is, unlike many of the Austin restaurants which only offer brunch on the weekend or just Sundays, South Congress serves brunch every day. We arrived at South Congress Cafe at about 11:00 on a Tuesday. Though we did not have a reservation, most of their tables were open so the two of us were seated immediately in a nice big booth. Now inevitably when something like this happens and your expectations are abnormally high, you end up feeling let down. 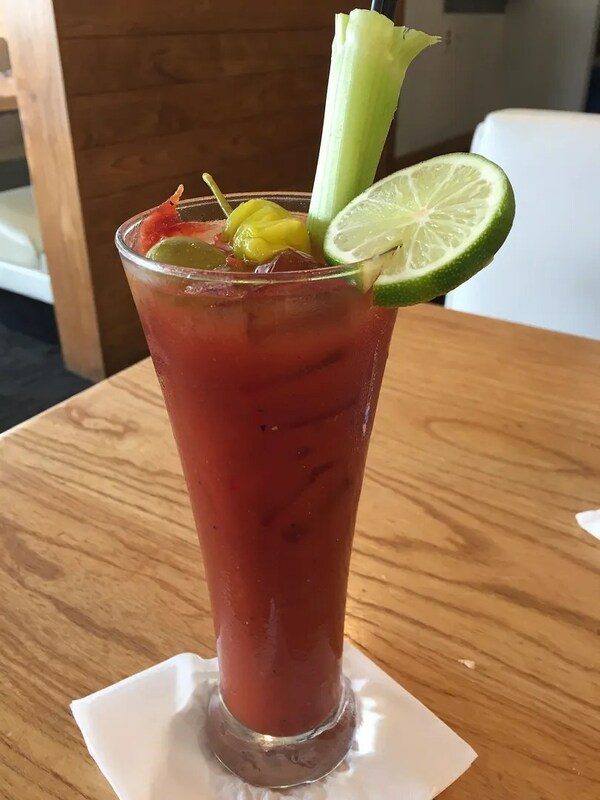 However, I’m happy to report that this Bloody Mary was delicious! It had the perfect spice/tomato juice ratio, and just the right amount of Tito’s vodka. It was also well garnished with a stalk of celery, jalapeno, green olive, and a slice of lime. 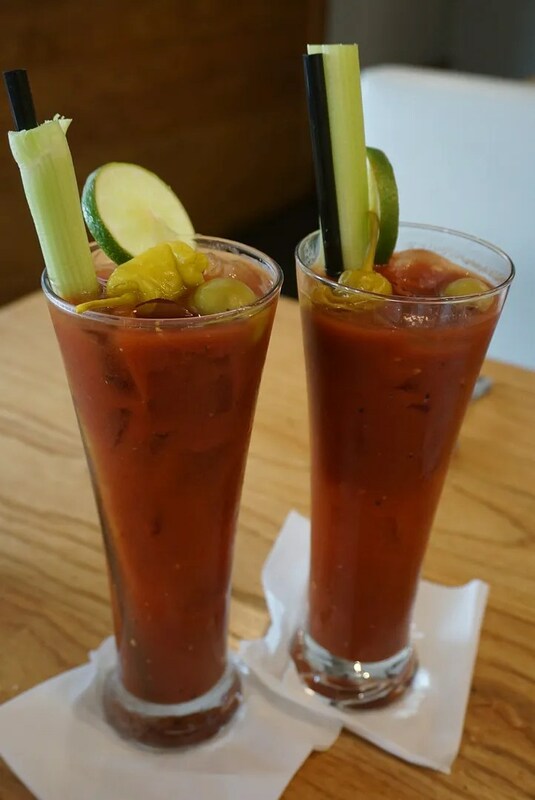 I can definitely see why this Bloody Mary made HP’s Top 10 list. 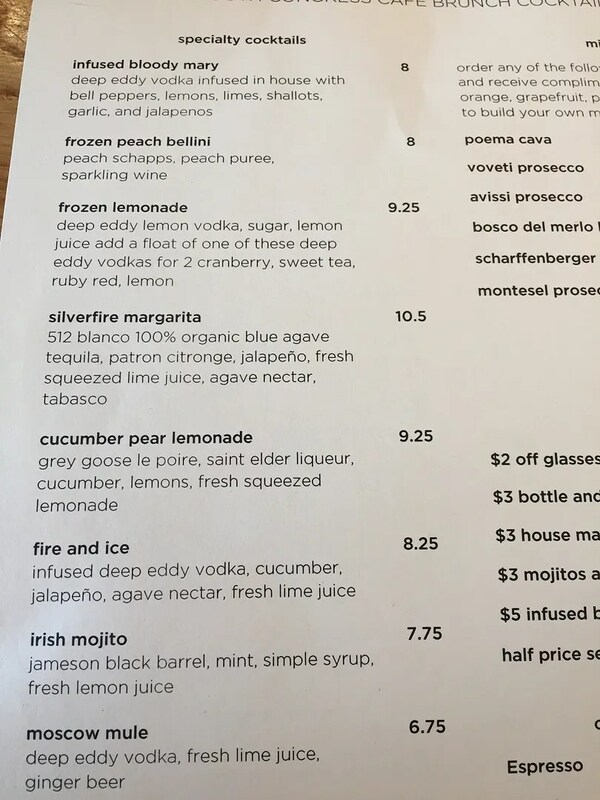 As mentioned before, their menu was extensive and so many things sounded good to us, so it was very difficult to decide what to order. There were 3 kinds of omelets, 3 kinds of eggs benedict, two kinds of migas, french toast, 5 kinds of salads, 3 soups, a burger, 2 kinds of tacos, shrimp & grits, meatloaf and more. So what did we choose? The server warned her that this was not your typical eggs benedict when she ordered this and she was right to do so. 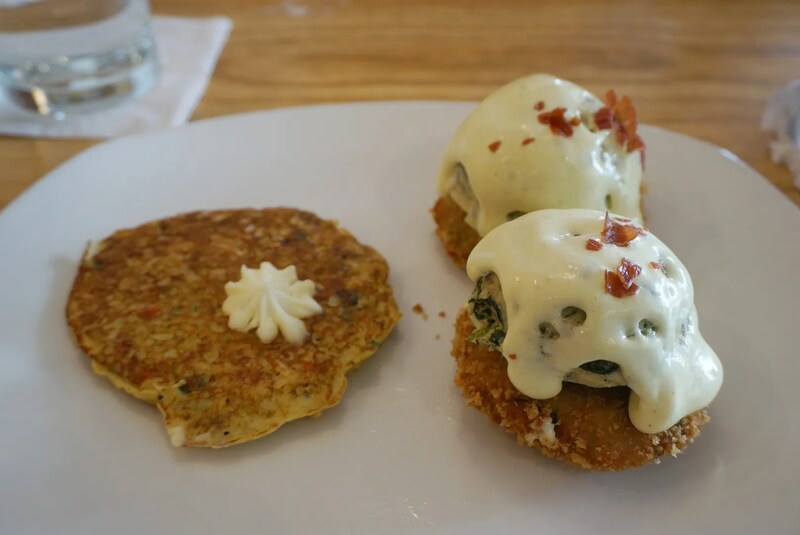 At the bottom, instead of the usual english muffin there were fried crab cakes. 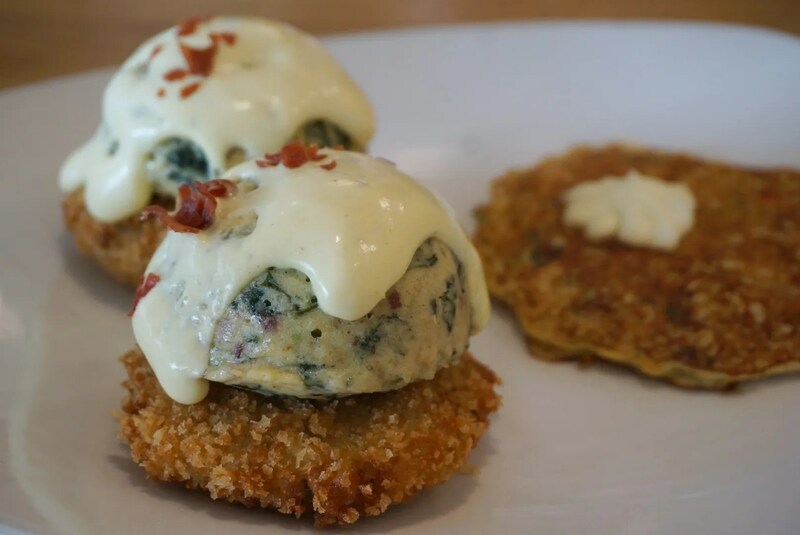 These were topped with mini spinach and bacon quiches. 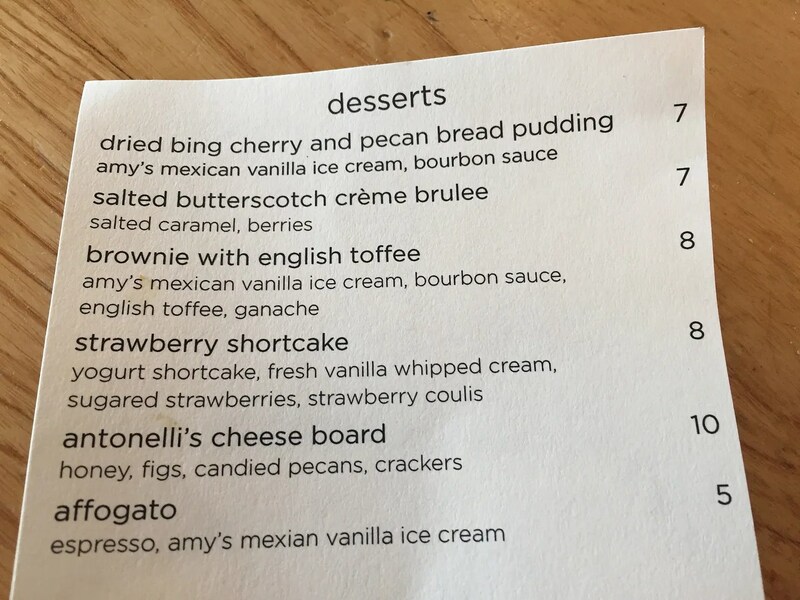 There were no poached eggs with this version of eggs benedict. So the only thing usual about this was the hollandaise sauce. What was her verdict? She loved this! She also really enjoyed the potato pancake, which had gouda cheese and diced bell peppers. 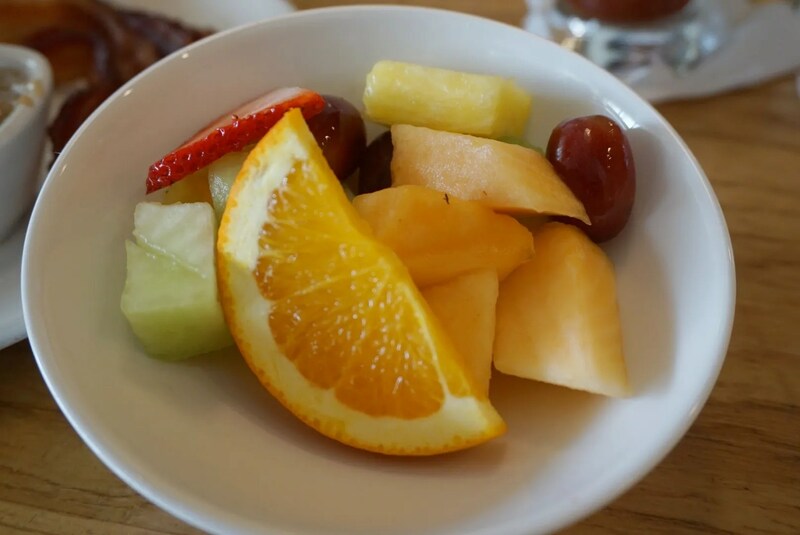 I was craving fruit so this small bowl of fresh fruit really hit the spot! For an extra $5.00 I added a side of apple wood smoked bacon, which was good. Other available sides were smoked venison sausage, smoked wild boar sausage, or niman ranch ham, each for an extra $5.00. 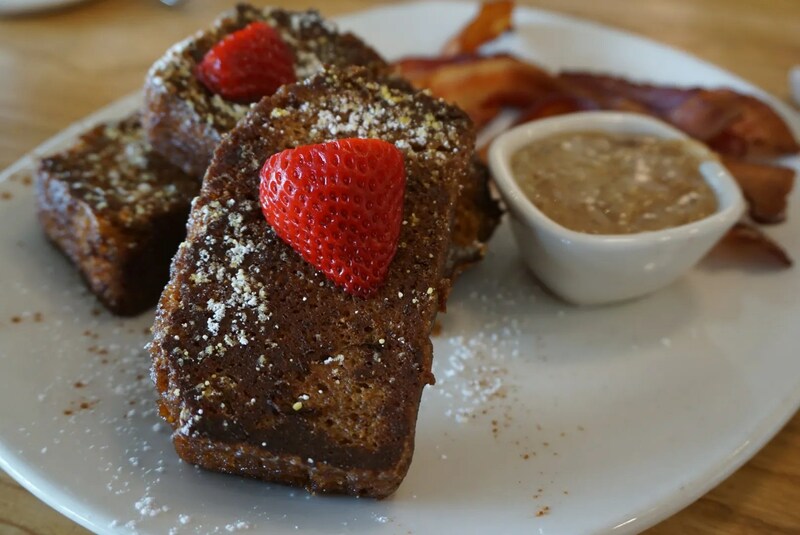 As for the carrot cake french toast, it was delicious! 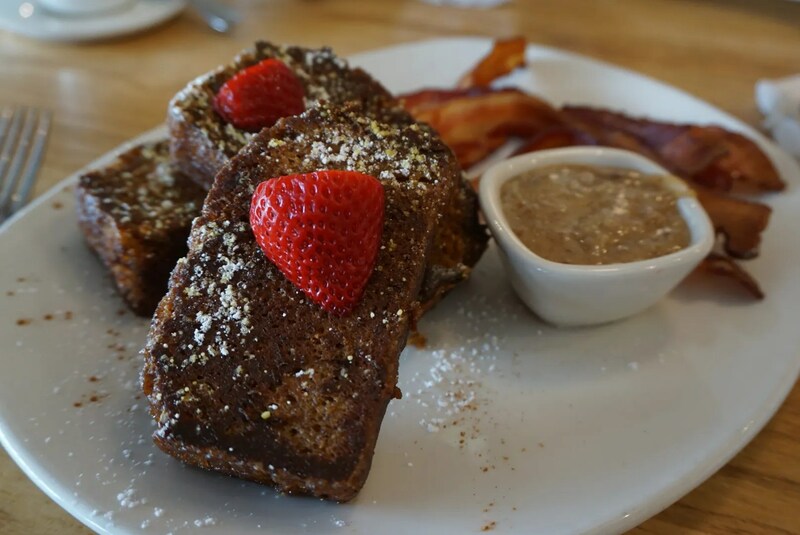 I had enjoyed the banana bread french toast once at Disney World (Whispering Canyon at the Wilderness Lodge), but I think I liked this better. 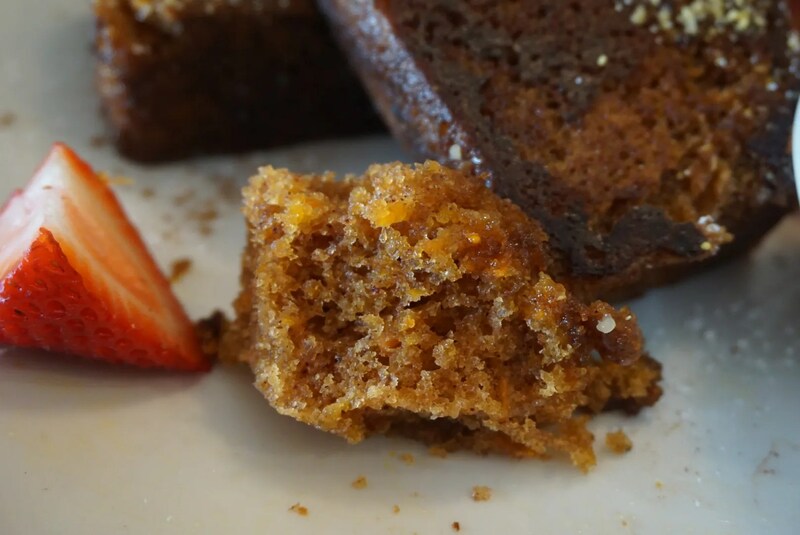 Perhaps this was due to the yummy cream cheese-pecan topping, which was great with the carrot cake. So overall we both loved our brunch! 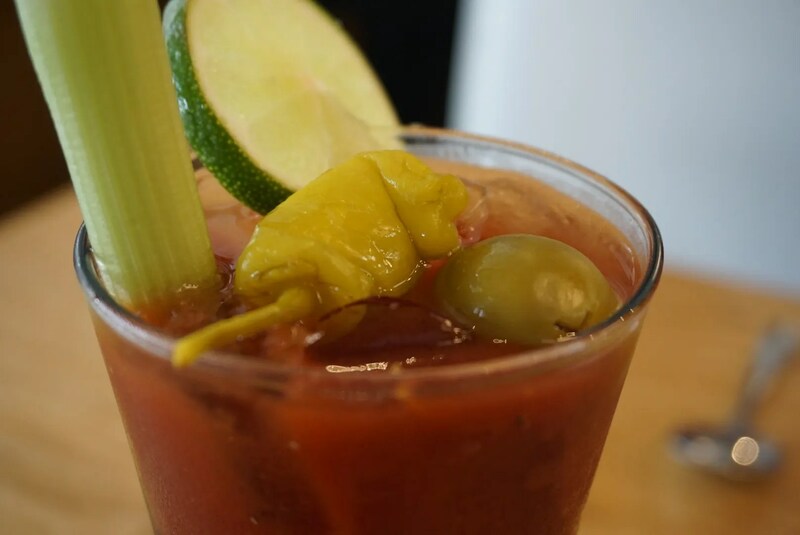 The Bloody Marys were great, the food was great, and the service was great! 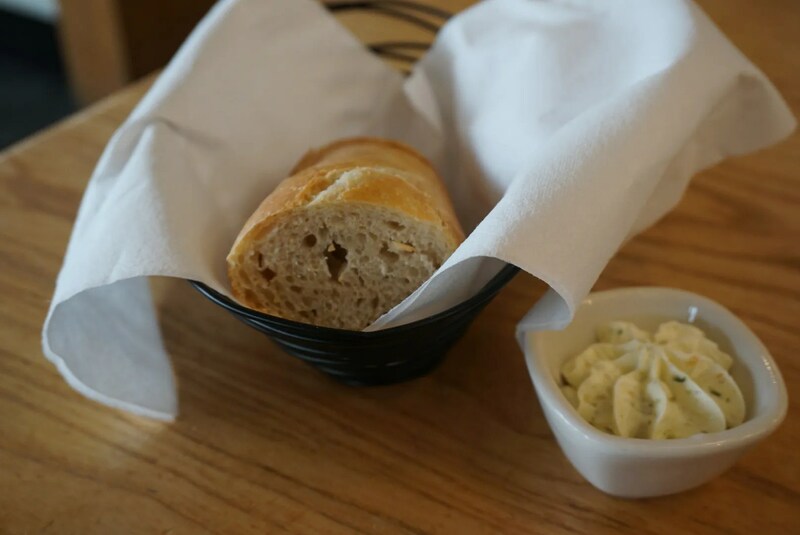 We gave South Congress Cafe a 5 star rating, the first of our trip! Would there be others? I hoped so. Oh, and in case you were wondering, Yelp reviewers gave this restaurant only 4 stars and it received 4 1/2 stars on Trip Advisor. So this was another instance where we apparently don’t agree with the majority. 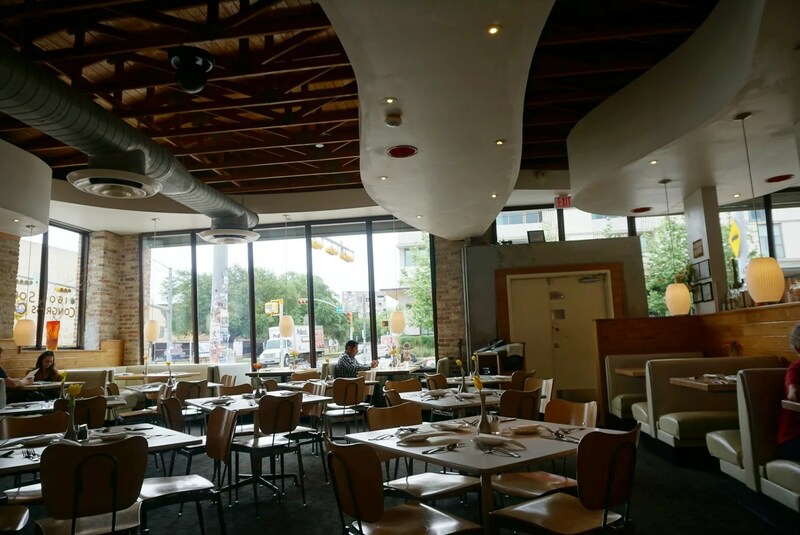 Trip Advisor reviewers did though rank South Congress #41 best Austin restaurant, which is really good considering the number of restaurants in Austin and we feel it was well-deserved. Yelp similarly ranked them at #52.